Hyderabad, the city of pearls, is a shining jewel in the crown of Incredible India. A colourful city that enchants the world with its vibrant culture and traditions. However, if you’re a resident of the city itself, a question that frequently arises is how to plan weekends in the best possible way. A trip to a nearby destination can be an option but it might be too tiring for a short weekend. A weekend spent at a rejuvenating city resort might be an interesting option to consider instead if you’re in the mood for a relaxing weekend in the city amidst its many charms! ● In a city like Hyderabad where summers are blistering hot and winters only mildly cold, water parks are fun places to indulge in endless water fun over the weekends all round the year. ● When looking out for an ideal holiday in Hyderabad, a resort that offers a water park can be an interesting option to consider. 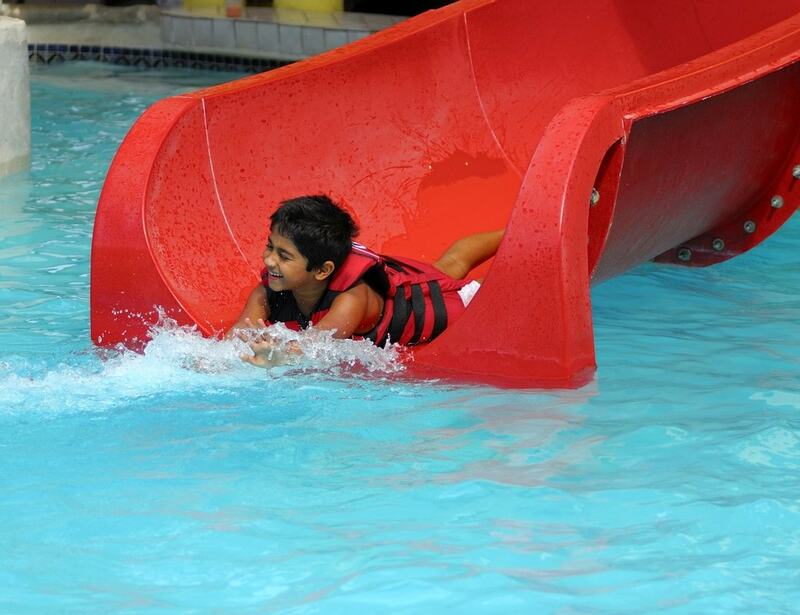 ● Water slides, splash pads, spraygrounds, rain dance, and swimming pools are just some of the water activities and facilities that delight people of all age groups. ● Do you remember the last time you played a board game with your kids or siblings? Well, it’s time to bring back the child in you this weekend! ● A memorable weekend might be spent in a relaxing resort in the city amidst lush greenery, where you might just relax on the sprawling lawns and revel in the joy of playing the good old board games with your friends and family. ● Carry a variety of games when you leave for your weekend staycation- Snakes & Ladders, Ludo, Playing Cards, Monopoly, Uno, Chess, Scrabble, Mastermind, Battleship- the list goes on and on! ● Few things can match a delicious local delicacy served steaming hot as you sit back and relax over the weekend. That’s what we call a well spent weekend! ● If you enjoy food fun, consider staying at a resort in Hyderabad over the weekend where you might be able to relish the cuisine of your choice- Indian, Chinese, Mughlai, Continental or South Indian, to name just a few. ● A multi-cuisine restaurant at a city resort will help you satiate your gastronomic urges. ● If you love sports, consider playing tennis, volleyball, squash, cricket, basketball or an outdoor sport of your choice over the weekend. ● You can make good use of the excellent sports facilities and play areas in a city resort. ● A sport is not only a supremely enjoyable activity but also helps keep you healthy! ● Amongst the many things to do in Hyderabad over the weekends, Yoga and Meditation classes and sessions at a city resort are a favourite with many city residents. ● Yoga, breathing techniques, and meditation are proven ways to relax your mind, body, and soul so you can gear up for the work week ahead! 6. Be one with nature this weekend- one of the best things to do in Hyderabad! ● One of the best ways to rejuvenate and unwind over the weekend is to get into the lap of nature in a city resort’s lawns, gardens, and landscapes set amidst lush greenery. 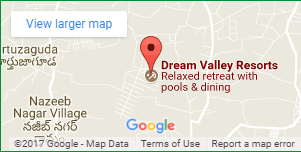 ● Inhale fresh air in a countryside resort away from the maddening crowds of the city. If you are looking out for an exciting way to spend your weekend, look no further than a resort in the city that offers fun activities to delight people of all age groups. The Dream Valley Resorts in Hyderabad house a water park with rides, slides, splash pools, and activities for everyone- an ideal way to escape the city during a staycation with a fantastic resort that offers golf, squash, cricket, indoor games, luxury villas, kids play area, and a multi-cuisine restaurant to revel in food fun!